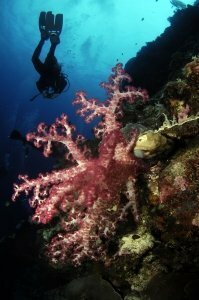 Diving and snorkeling is our passion. Every year, we gain more first-hand knowledge of some of the best places to explore on the planet, and we’ve built our business around sharing what we know with others. One of the coolest ways we do this is by planning trips for divers and snorkelers all over the world. 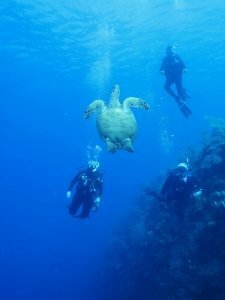 While our Rec Diving staff “escorted group trips” are still as popular as ever, our private groups are growing. Our customers tell us they use our expertise to save them time and money. In many cases these trips are life-changing. Ever dreamed of getting up close to dophins or whale sharks? Face to face with a humpback whale? Capturing the action on your video camera from the center of a giant school in crystal clear water? Photographing nature like a National Geographic photographer? 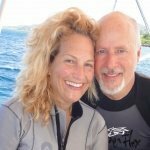 These are the experiences we live for and we’ve been selling these same trips to other divers and snorkelers for more than 40 years now. We’d love to help you with your next getaway. Let us know where you want to go or use our expertise to help you narrow down your choices to find your ideal destination and the best time of year to visit. Contact your dive buddies, send a Facebook blast, or tell us who you want to contact from past Rec Diving trips. We love connecting divers! Relax while we plan your custom group adventure the Rec Diving way. Your group can be big or small. Is it you and your BFF’s? Just your family? Your favorite dive buddies? The choice is yours who you want to travel with. Many of our preferred vendors offer group discounts (Siren, Aggressor, Explorer Ventures, Anthony’s Key, Divi Resorts, Little Cayman Beach Resort …just to name a few). We pass those on to you and your group members. 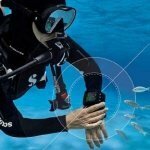 Save on a New Scubapro Computer Own Rec Diving. The Ultimate Dive Adventure.